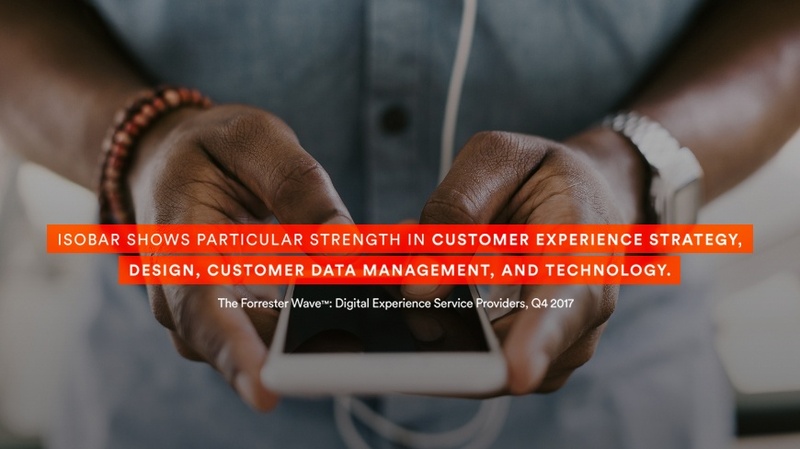 Forrester has recognized Isobar as one of the most significant agencies for digital experience in “The Forrester Wave™: Digital Experience Service Providers, Q4 2017.” This prestigious report evaluates the 14 largest service providers that matter most to help application development and delivery professionals make the right choice. Each service provider is evaluated by current offering, strategy and market presence. Forrester highlights our capabilities in customer experience strategy, design, customer data management and technology. The report states, “Clients like Isobar’s willingness to learn their business and bring experience innovation to the fore.” Among other things, the report also highlights our expertise in emotional testing practices and with Amazon Web Services. View the full report here or for more information please contact Paul Buranosky.